In this area of the Apparel Search fashion brand directory, you will find men's fashion brands from leading apparel companies and fashion designers. On this particular page, you will find information regarding men's clothing with the Fruit of the Loom brand. You are welcome to utilize this section of our clothing guide to review Fruit of the Loom news, Fruit of the Loom blog posts, Fruit of the Loom photos, and more. Please understand that you may run into a few photos or a tad of information that does not actually pertain to the men's Fruit of the Loom fashion brand. Unfortunately, no search technology is absolutely perfect. We will continue to do our best to bring you as much information about the men's Fruit of the Loom fashion collection as possible. Men's underwear, undershirts and activewear. Fruit of the Loom is one of the largest manufacturers and marketers of men's and boys' underwear, women's and girls' underwear, printable T-shirts and fleece for the activewear industry, casualwear, women's jeanswear and childrenswear. The company's familiar logo comprising a red apple, leaves, green grapes, currants, and purple grapes forms a widely recognizable trademark. 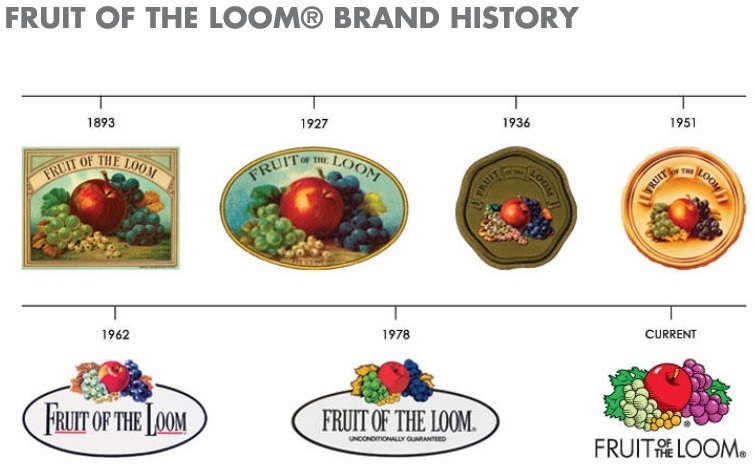 The Fruit of the Loom brand dates back to 1851 in Rhode Island when Robert Knight, a textile mill owner, visited his friend, Rufus Skeel. Skeel owned a small shop in Providence that sold cloth from Knight's mill. Skeel's daughter painted images of apples and applied them to the bolts of cloth. The ones with the apple emblems proved most popular. Mr. Knight thought the labels would be the perfect symbol for his trade name, Fruit of the Loom – an expression referring to clothes. If you have changed your mind and do not wish to research the brand Fruit of the Loom, you can use the search engine on this page to find another clothing label that may be of more interest. Apparel Search is a leading guide to fashion, style, clothing, glam and all things relevant to apparel. We hope that you find this Fruit of the Loom page to be helpful.